Evaluate a range of ways to embed elements of Functional Skills in your specialist area. Help students master essential skills, for life and for progression in further education. Embedding of functional skills has an impact on the choice of teaching and learning methodologies, and on assessment strategies. You need to demonstrate this in your subject area evaluating ways to embed elements of Functional Skills. Don't just list them, evaluate them to get level 4. 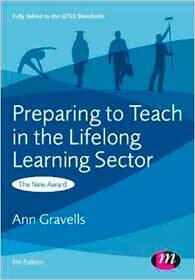 Since 2007 the UK Government has been focusing on embedding functional skills of English, Mathematics and ICT in the learning system with the hope that individuals can work confidently, effectively and independently in life (Gravells, 2008). Although the programme is in its early stages, a report by the (Ofsted, 2009) concluded that a coordinated approach to delivery of functional skills is needed. For the purpose of this report a few aspects of Operations Management will be evaluated. Professional discussions give learners the opportunity to demonstrate their understanding of the subject, express own views, make criticism, ask questions, make comments and promote ideas. Each learner delivers a presentation while practising the use of new terminology they have learned such as add value, sustainability, reverse logistics, optional replenishment, etc. Learners discuss how to develop supplier relationship management, how to negotiate contracts, and they look at samples of contracts drafted in English. In the case study session learners can draft plans and strategies, and may write a short management report. The decision of location of manufacturing facilities which should be in the vicinity of the raw material requires analysis skills including maths for calculating distances, weighing benefits and losses, and estimating capacity and inventory. Deciding on a location can lead to sophisticated outsourcing decisions which require, besides analytic understanding, knowledge of maths for calculating and comparing different costs, calculating production size and assessing the opportunity cost. Maths skills are also needed for the Six Sigma methodology which involves measuring performance and variation over time before launching a product, and for Process Mapping which is used for estimating lost time, minimizing cost, identifying bottlenecks and eliminating waste. Also, quality inspection can involve mathematical analysis, measurements and comparisons against standards. Learners are exposed to performance measuring tools such as the Balanced Scorecard and Key Performance Indicators (KPI) which involve calculations to assess the present state and make comparisons of actual costs and other figures against strategic/operational goals. Learners discuss and share their experience in using inventory control solutions and ERP solutions, especially SAP and the use of Project Professional for managing project phases. They discuss the use of Event Management applications for managing inventory and Respond for assigning tasks to different staff. They use PowerPoint for presentations and Word for writing reports. It is clear that embedding of functional skills has an impact on the choice of teaching and learning methodologies, and on assessment strategies. The standards developed by the (QCDA’s, 2009) pilot can assist teachers in recognizing and addressing additional support to learners, and the shift to skill-based teaching will help students master essential skills and may help their progression in further education. However, I believe practical experience, responsibility, self-direction, creativity and loyalty are the key to meeting employer’s needs. You won't find it cheaper anywhere than Amazon. Yousif Kisha, a Drupal Developer, runs his own web design business, a former trainer in management and leadership.